Ah, Pi Day! The perfect holiday to celebrate with kids who love math, like my son with hypernumeracy. Even my youngest loved this Pi Day craft! He proudly wore his everywhere that he went that day and was sad when he lost it later that same day. 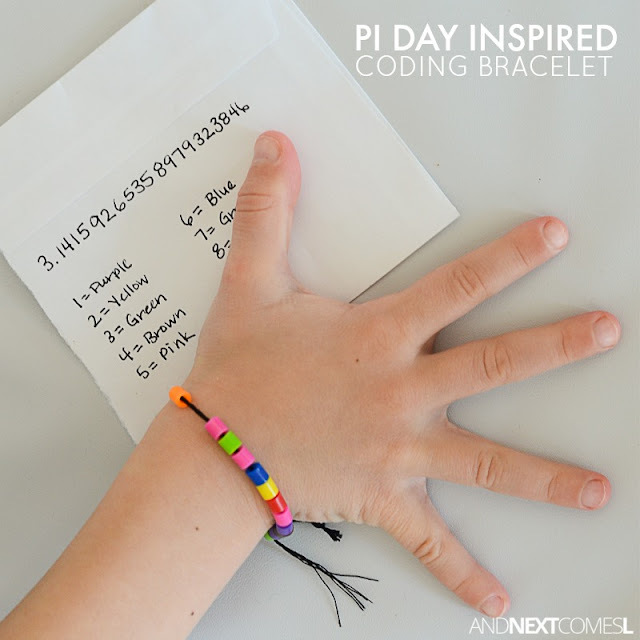 These Pi Day inspired coding bracelets are also a great way to introduce your kids to coding and as a way to work on fine motor skills. 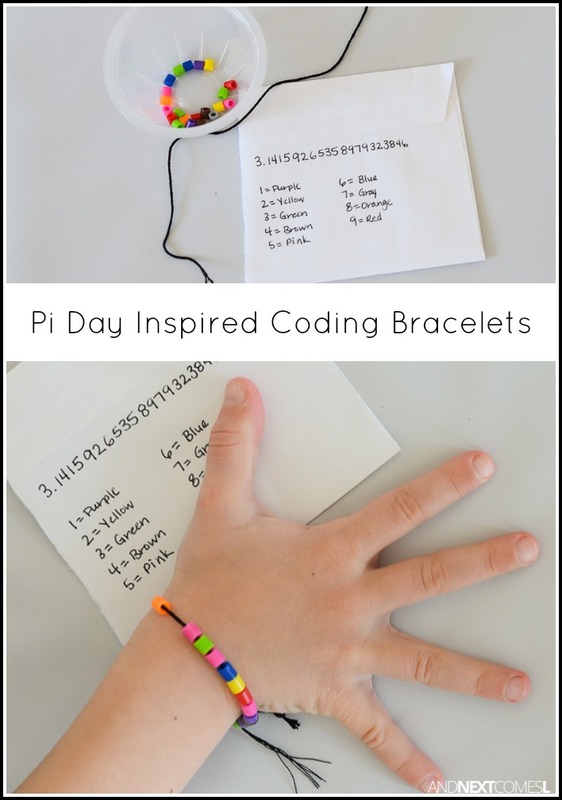 Easy Pi Day Craft for Kids: Make Coding Bracelets! If you are unfamiliar with Pi Day, it is celebrated on March 14th because it is the third month, 14th day or as the first digits of Pi show: 3.14. So while you are busy making pie shaped everything for supper on March 14th, challenge your kids to interpret this color code and make their own bracelets!